These fires are going to rage and ravage whether us meager humans try to resist it or not. Resistance has already been proven to be a failed method; fire suppression has lead to even greater amounts of brush being left to burn when the inevitable fire does ignite. Earth’s passionate flames are fiercer, more untamable, and hungrier than ever. But there are homes and lives at stake. What do we do? What are wildfires, and why do they happen? Wildfires are defined as fires on undeveloped land, fueled by three things: weather, wind, and brush. They are uncontrollable and incinerate everything they touch in an instant. What initially sets off wildfires? Nature sparks them with lava and lightning, but more often in recent history, humans are responsible for them. They instigate the fires with unattended campfires, negligently discarded cigarettes, intentional arson, and more. About 90 percent of wildfires in the United States are caused by humans, according to the National Park Service. 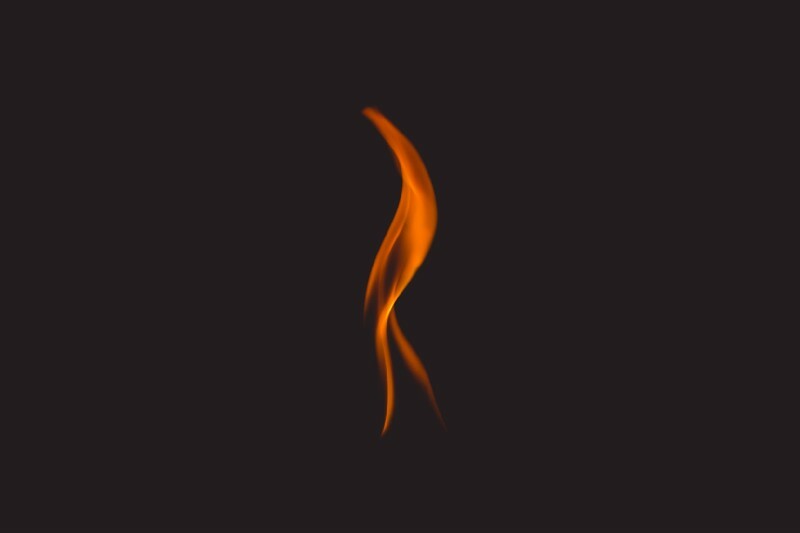 Fire is an element of nature, and it exists for a purpose. The function of wildfires is to clear land of unhealthy, disease-ridden, dead or decaying matter. In doing so, it offers nutrients and space for new vegetation to grow. Some plants even depend on the fire’s cleansing effect to grow and reproduce. It is paramount to the natural cycle of the world. Thanks for explaining wildfires. So what made the California fires so intense and destructive? There are a couple of reasons. One is fire suppression. Once we started building permanent homes near wildfire-prone lands, wildfire suppression came about. When fires happened, some were allowed to burn if they could be contained safely, known as controlled burns. However, if they were deemed dangerous to humans, they would be suppressed. This was the beginning of fire’s reputation as a threat. Its all-encompassing nature took many human and animal lives. The more humans that died, the more evil fire became. Higher priority was placed on wildfire suppression, until it became the rule. Fire lost its place in the cycle of nature, as a cleanser, regulator, and healer. It became the ultimate destroyer of worlds, something to be feared and instantly quelled at the sight. The flammable vegetation and brush that would have been swept up by a fire was left to literally burn another day. The next reason is climate change. If the magnitudes of these fires don’t make you take climate change seriously, I don’t know what will. Human-caused climate change has been linked to doubling the amount of overall acres burned by wildfires in a span of 30 years, according to a study done by the Proceedings of the National Academy of Sciences in 2016. In the past, the Earth was able to maintain its fires with rainfall and moisture in the soil. But with the rising temperature of the Earth as a whole, the world is getting drier. There is less rain where it’s needed and the moisture in the soil is no longer enough to contain fires. So what can we, everyday humans, do about it? The solutions are (1) to allow more controlled burns and (2) reduce greenhouse gas emissions, getting the carbon concentration in the atmosphere back down to 300 parts per million. But controlled burns aren’t that easy. There are homes and lives at stake. This is valid and certainly true. With the way human culture has evolved, our homes and physical objects have become the evidence of our life’s work. We have become fixed people, tied to a place and tied to our memories. But these fires are going to occur, whether we like it or not. We’ve tried to tamper with fate, suppressing these fires in the past. They only come back more furious, ready to eat more in its path. They will only get worse before they get better, if they ever do get better. These fires are going to happen whether we like it or not. I propose a culture and mentality shift. To become less attached to our homes and objects, and return to our roots as nomadic people. That way, when the inevitable fires strike and incinerate everything we know, we will not feel as devastated. We will know that our lives are rich because of our experiences and memories that live inside of our spirits and divine physical bodies, rather than in the stuff we have accumulated. Think about the 3 things you would take with you if a fire lit up in your home, and practice training your mind to feel rich with experiences, relationships, and good health. There is not much land to buy nowadays anyways. Only so much that can be built, and prices for homes are rising at unrealistic and unaffordable rates, especially in the Bay Area. Nowadays, young people live in a more fleeting way, treating cities as a transient, extended visit rather than settling and building a home. All these factors create space for a new age of returning to nomadic, simplistic living. That way, when fires and other disasters strike, we can allow Nature to run its necessary, regulating course and get out of the line of fire. I believe everything happens for a reason, especially when it comes to Nature. Earth has its plan. Even if we can blame the higher quantity of fires on humans’ careless or intentionally destructive actions, there are other factors that allow these fires to grow and resist our efforts to combat it. Every time us humans try to intervene in the natural cycle, it finds a way to persist, fiercer and more ravenous than if we had let it run its initial course. Well okay, but there’s also hope with climate change efforts, right? Absolutely. I choose to look forward and feel optimistic about the efforts being made towards combatting climate change. I think every human’s action matters, because these are what add up to define culture. In addition, it is rare that a human is so isolated that their actions don’t impact others. We are social creatures, and we have friends and family and even strangers that we interact with on a daily basis. Our actions and our words are our power; use them wisely to set good examples and positively influence others. We often blame things on society, but we forget that we ARE society. Start small, but start to grow that seedling of awareness. And spread that awareness with your words or actions to inspire others. Start to shift culture. Encourage those around you to be conscious and instill the same awareness. You have that power. We all have that power. On a larger scale, you can support efforts of people already joined together and making great strides towards effecting change. There is Citizen’s Climate Lobby, which takes the political approach of promoting a nonpartisan Carbon Fee and Dividend Bill in Congress. This would place a carbon tax on all things that have a carbon footprint, and the money raised would be distributed back to every household in the United States. This way, the money doesn’t disappear into a federal fund where spending may not be transparent or accounted for. This fee could help create carbon awareness, connecting the dots between everyday things and their carbon footprint. There is another organization called the Healthy Climate Alliance that educates about climate restoration and supports a network of organizations working towards fixing the Earth. These include a company called Blue Planetthat captures carbon to turn it into building material, and a nonprofit called Ice911 that creates material to put over ice caps to slow their melting, a massive contributor to the rising temperature of the Earth. Supporting and getting involved, even spreading awareness of these efforts, are ways to help. Find out whatever way activates and engages you, and DO IT. Fire is healing. Fire is nurturing. Fire is necessary. Fire has gotten its reputation tarnished. With the way our society and culture is today, sure, it is certainly destructive. But if we change our mindsets and try to channel our ancestors, we might be able to see that it happens out of necessity. Whether the instigator is human or nature, the fact that it can grow and not be contained is because Nature deemed that degree of cleansing necessary. So, we better change our mindsets and change our actions. The Earth spirit will burn more. It will cry harder. It will scream and howl with fiercer winds than ever before. This will only get more extreme until we give the Earth spirit the proper respect it deserves. The Earth deserves to see through its emotions. Only then can it move on. Just like us humans processing our own emotions, suppressing Earth’s is a bad idea. It will only fester and bubble and amplify until the destruction takes us all down, to clean the slate and start over again. After all, that’s what fire exists for. Earth will be fine. What about the human race? Well, that’s up to each and every person to decide.